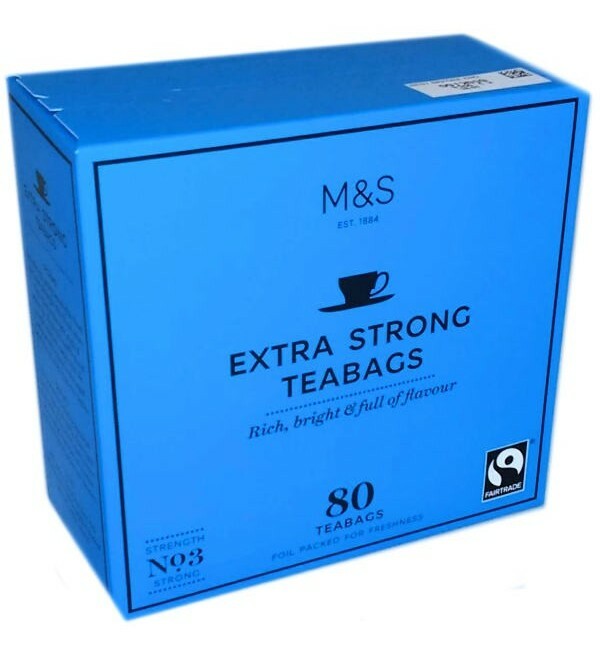 Marks and Spencer Fairtrade Extra Strong Tea makes a rich, bright and malty cup of tea. The tea in this blend comes from Fairtrade-certified tea gardens in India and smallholder farms in Kenya. 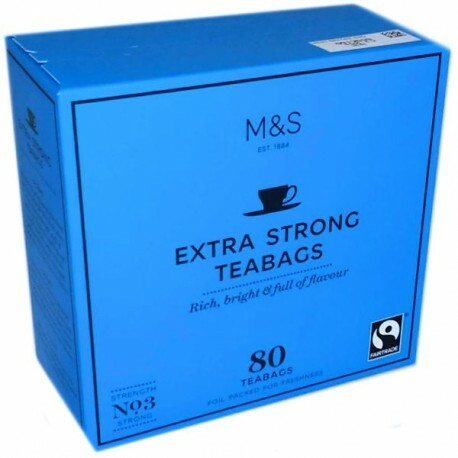 Marks and Spencer Fairtrade Extra Strong Tea makes a rich, bright and malty cup of tea. The tea in this blend comes from Fairtrade-certified tea gardens in India and smallholder farms in Kenya. The combination of full-bodied tea from the Assam Valley and bright golden tea from the highlands either side of the Rift Valley gives a perfect rich-flavoured blend. Strength No. 3 (strong).